“Nearly a decade ago, Raj Multani, opened Policy Restaurant in the 14th St corridor of Washington, DC. 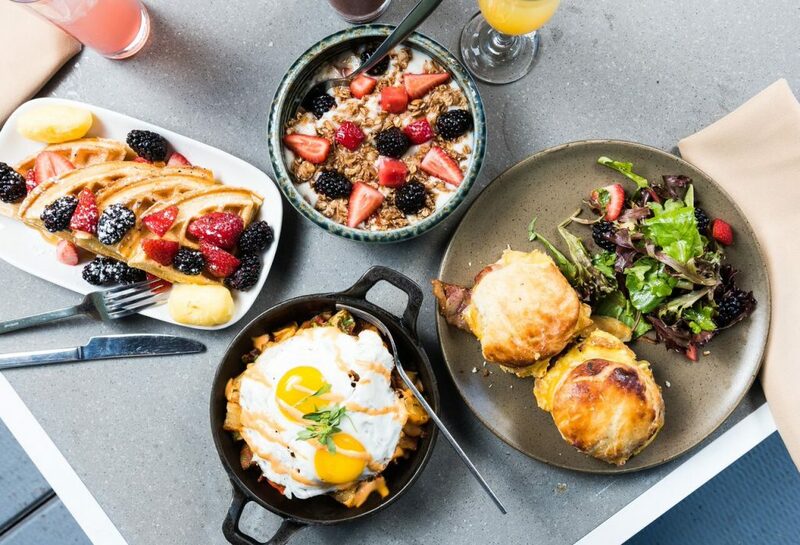 This corner restaurant marked the beginning of an exciting journey for this urban neighborhood which has quickly transformed into one of the nation’s capital most stimulating and enjoyable dining destinations. This fall, the Policy team is pleased to announce the restaurant’s recent renovation which will reveal a more sophisticated, daring redesign along with several new features in the restaurant and on the menu. Policy’s striking redesign will blend the local festive spirit with the unique personality of the city of Washington, DC. The newly revamped and comfortable approach, evokes an alluring ambiance that represents a chic and casual celebration of food and drink. Policy will feature sleek furnishing seating, its own private bar area surrounded by artwork by local artist Andrew Funk, and a stunning rooftop patio perfect for enjoying an evening with friends, a weekend brunch, or hosting a special private party. With craft cocktails and lounge vibe during the evening hours, Policy will showcase some classic and original cocktails such as the Gin and Juice, gin, cucumber, watermelon and lime; and the Policy Spritzer, aperol, fresh blood orange juice and prosecco. Price for cocktails is $10.00. A light fare bar menu with a variety of snack size fare sampling will also be available to guests. Some of the menu features include Fried Chicken Sliders, served on a Hawaiian roll with Buffalo sauce and carrot slaw; Rock Shrimp Tacos, with sriracha sauce, cabbage slaw and cilantro; Caprese Toast, served on a toasted sourdough, sundried tomato paste, fresh tomatoes, mozzarella and Balsamic vinaigrette. Price for these small plates ranges from $7.00 – $12.00. 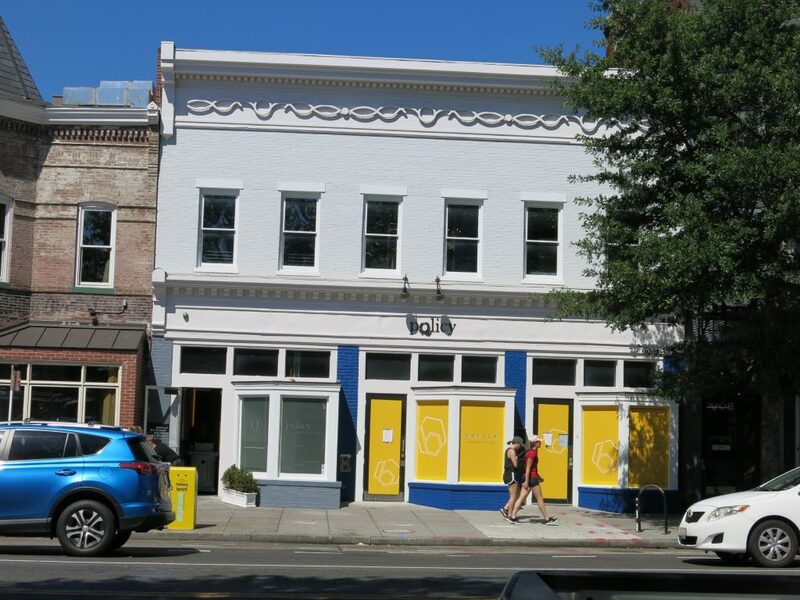 Policy is one of the first establishments that pioneered the transformation of the 14th St Corridor into a lively festive and dining destination. Qualifying as the epitome of easygoing pleasure, Policy has a curated program to feed the different appetites of Washingtonians. For the music fanatic, Fridays and Saturdays will experience a DJ spinning tracks from 10:00PM until closing. For the happy hour aficionado, Policy will offer specials Wednesday – Saturday from 5:00PM to 8:00PM and guarantees to be a great destination for socializing and delighting great bites and cocktails. Prices for happy hour cocktails are $6.00. For the food-driven crowd, Policy will serve a limited brunch menu on Saturdays and Sundays starting at 11:00AM offering some delightful dishes like Belgian Waffles, served with seasonal fruit, whipped butter and maple syrup; Southern Biscuit Sandwich, prepared with egg, cheese, and choice of tomato jam or bacon; Yucca Hash, with pickled red onion, red bell pepper, egg, bacon and Sriracha aioli; and Fruit and Granola Bowl, a house made granola served with honey yogurt and seasonal fruit. Price range for brunch items is between $9.00 and $14.00.